Making sure to take adequate care of your teeth and gums is more important to your overall health than many people realize. Problems and issues in the mouth can often lead to problems elsewhere in the body. Researchers have found strong correlation between gum disease and heart disease, for example. In this post, we will look at two common dental problems and what you can do to prevent them. Gum disease is the common name for periodontal disease and occurs when built up plaque attacks and erodes your gums. Gum disease has many stages beginning with gingivitis and ending with periodontitis. Many people who have gingivitis, do not even realize it. Others will see inflamed, red gums that bleed from brushing or even chewing. As gum disease progresses, gums can actually move away from teeth and form pockets that become infected. Gum disease can also cause irreversible bone loss. The good news is that gum disease IS reversible. There are “deep cleaning” dental procedures that your dentist can perform. The goal is to remove all of the plaque from your teeth and gums. Even just proper, daily brushing and flossing can prevent and reverse gum disease. Once again, plaque is the culprit. Cavities are formed when plaque collects on the surface of your teeth, eats through enamel, and causes actual decaying of your teeth. Plaque thrives on sugar and produces acid that eats through enamel and causes cavities. In order to prevent further decay, you must get a filling from your dentist. You prevent cavities and tooth decay the same way you prevent gum disease -- brushing in the morning and before bed, daily flossing, and twice yearly dental cleaning and exams. 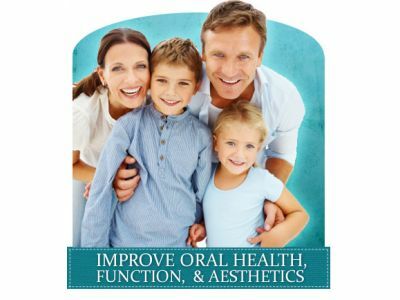 At Halonen Family Dentistry in Battle Creek, we have been serving patients since 1979. We aim to ensure our patients not only see us when they need emergency dental care, but also when they need information and resources for routine maintenance and maintaining the health of their teeth.